If you keep up with the financial press,you’re bound to be familiar with the asset allocations that ‘financial advisers’ recommend.Personally I believe that they are often the beliefs of the financially struggling imposed on financially unsophisticated people,looking for assurance and approval. The financially well off report asset allocations that are very different from that of the “ideal”recommended by financial advisers.Of course it could be argued that they are only reported assets and unreported assets can’t be ruled out and the total bears a greater resemblance to the “ideal” .Alternatively it could be said that there ought to be one allocation for those hoping to be wealthy vs. that suitable for the wealthy. Just observe the large cash equivalents,preference for real estate and alternative investments like antiques,high quality watches etc. along with the more conventional Indian preference for gold jewelry.Mutual funds and insurance products are conspicuous by their absence.Their asset allocations might be far from the “ideal” but their net worth is nothing to sneer at,especially as they have no businesses to help earn their incomes.And one way or another,both have had to earn their fortunes. How To Pick The Right Class of Mutual Funds? Have you ever wondered about the assets of the really wealthy?Personally I have always been interested in knowing just where wealthy people have their money.My take is that wealthy people didn’t get that way or don’t stay that way without knowing a thing or two about keeping and growing their money safely.That is why I was interested when I came across her statement, given before the returning officer, while filing her nomination papers in 2009 for the Haryana Legislative Assembly elections. 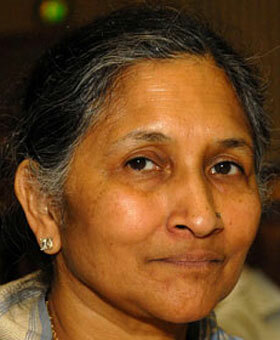 Savitri Jindal is India’s richest woman. She is the widow of the late O.P.Jindal.In her statement given before the returning officer,Savitri Jindal states that she has moveable property worth Rs 17.75 crore and immovable property worth Rs 25.94 crore.I think it’s interesting to see how much of her money she has in a liquid form.Compare this to our asset allocation.Most of us are bound to have most of our money stuck in our houses.A house is a necessity, but it makes sense to acquire one’s fortune and then splurge on fancy houses rather than try to become wealthy by sinking money in our homes. Balanced funds are mutual funds that invest in both equities and debt instruments.They normally keep their equity component in the range of 60%-75% and the rest in debt products or cash.Some balanced mutual funds are considered to be more aggressive in that they have a larger equity component.For example, HDFC Prudence keeps its equity allocation around 75% in most of the cases and rest 25% in debt or cash. However,others like Reliance Regular Savings Balanced are considered less aggressive and have a lower equity component around 60-65% .